Join Vermont Fish and Wildlife on a field tour showcasing NRCS EQIP wildlife friendly-habitat management practices! Where: The tour will take place on Tim Cronin’s property in Wells, VT, but we will be meeting at 9:00 in front of the Wells Village School (135 Main/VT-30) to carpool up to Tim’s property. What: We will be looking at a completed patch cut, an area where a patch cut is planned to happen, an invasive plant treatment, and a forested stand that has been managed for forest birds. These management practices have been accomplished as part of the cost-share EQIP program funded through NRCS. 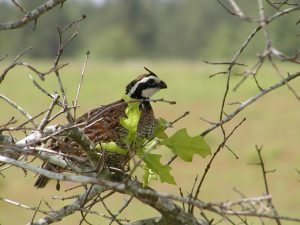 This tour will be an excellent chance to see before and after examples of management activities that can be done to enhance wildlife habitat on your property. We will be outside and walking for the duration of the tour, so please plan accordingly. Please contact Andrea Shortsleeve, VT Fish and Wildlife Habitat Biologist, at 479-4439 or andrea.shortsleeve@vermont.gov to reserve a spot or for any questions.